The galaxy is a big, scary place! Cuddle up with the characters of Star Wars: The Last Jedi! Measuring approximately 8-inches tall, your favorite characters from the Episode 8 are included in this plush assortment. The StarStar Wars: The Last Jedi Galactic Plushies Display Case Display Case includes a total of 9 plush. 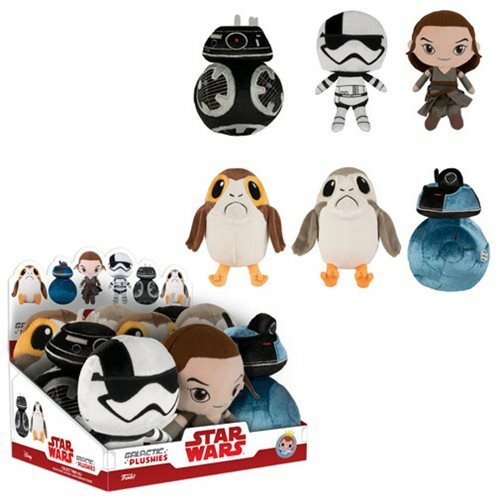 May include BB-9E, First Order Executioner, Rey, Male Porg, Female Porg, and Resistance BB Unit. Breakdown not available at this time. Ages 3 and up.